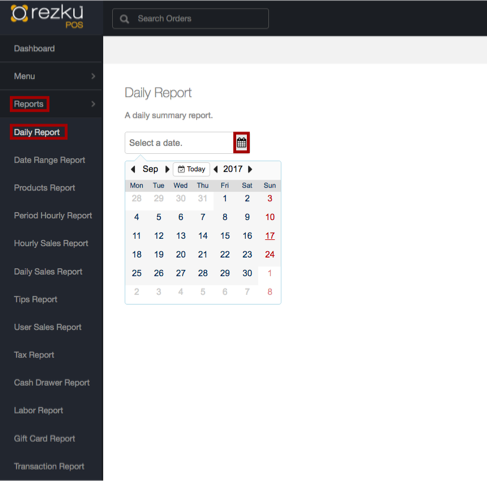 The daily report is an important tool available in Rezku POS Back Office. It provides an overview of all transactions and sales for the day. ● On the daily report page, click the small calendar icon to open the calendar and choose the date you'd like to read the daily report for. ● Once you have selected the date, click the DOWNLOAD button. The Daily Report will save as a .pdf file in your downloads folder. Rezku POS securely stores your data in the cloud, so you can always go back and check your historical reports at any time. 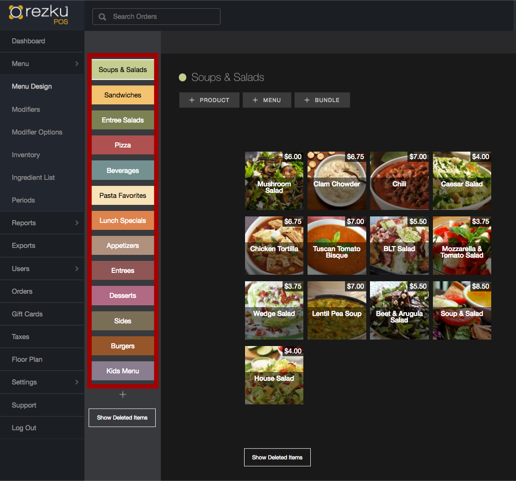 This box shows sales broken down by each of the top-level menu categories you define. These are the tiles along the left side of Back Office Menu Designer. They are also seen as the tiles along the bottom right side of the New Order Screen. Every location will have a different listing here depending on how they have created their menu. This box shows sales by service type. 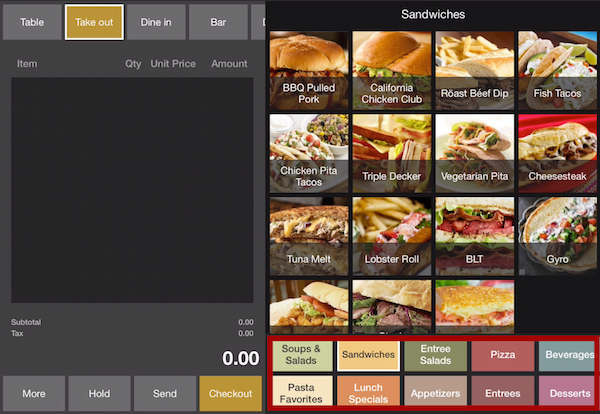 NOTE: Only those service types you have selected to use in General Settings > Restaurant Settings will be displayed. Each restaurant will see this listed slightly differently as it is dependant on how taxes are configured and which taxes have been added. Transactions - There are three boxes under Transactions showing payment transactions in different ways. The last line along the bottom shows a total for each of these columns. The value under “Total” is the total amount of all transactions processed on the Rezku POS system. This box shows a breakdown of cash transactions and is a reflection of the cash drawer management that was performed during the shift. The last line under Amount shows the total amount of all cash transactions. Orders Left Open - Below sales and above transactions you will see a list of any open orders. To investigate open orders you can view the tickets list in the Rezku POS iPad app or you can go to Back Office > Orders and look for the open order(s) there. Keep in mind that the dollar amount for open orders may or may not show up in sales depending on why they are open. If the order state is "Awaiting for Patron Signature" the ticket is open, but the credit card has already been authorized. It's important to make sure that your staff are entering tips and finalizing credit orders to complete all credit transactions. If Sales Total and Transaction Total Don’t Match - If the sales total and transaction total do not match, it can be concerning initially, but by taking a closer look at the daily report, you can find out why. Open Orders - The likelihood is that you have open orders. Close the orders and check again. The dollar amount for closed orders will appear in the transaction total for the day they are closed. They will appear under LATE if they are closed after the end-of-day. Unfinalized, Undercharged, Refunds - Check the 3rd box under transactions (Credit In / Out) for any negative values.